For years my mom has been making oven roasted asparagus and I absolutely love it! This is a super easy recipe and takes very little time to prep and cook. 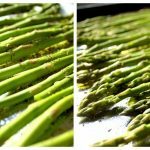 Once you start making Lemon & Herb Oven Roasted Asparagus you will find yourself making this vegetable side dish all the time! Place the cleaned asparagus (with the blunt end cut off) in a single layer on a pan sprayed with oil (I like to put foil down for quicker clean up). 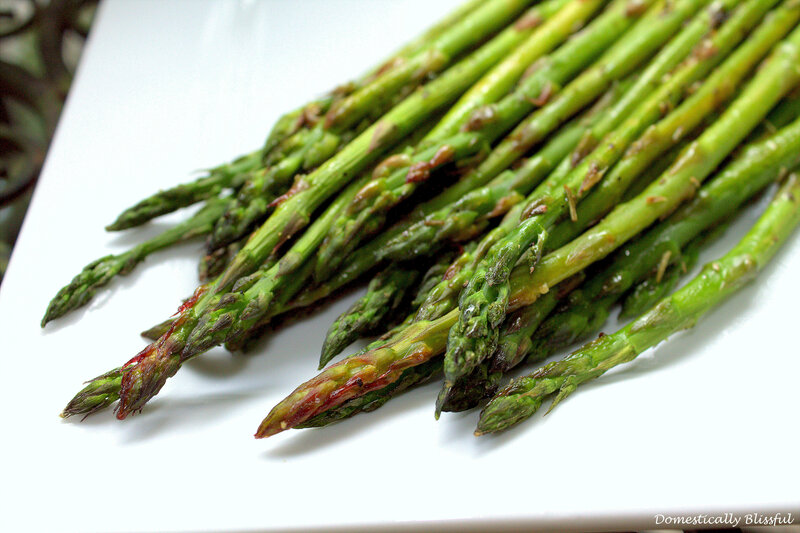 Next, drizzle olive oil across the asparagus and squeeze your lemon juice onto the asparagus. Finally, sprinkle your dried herbs (thyme, rosemary, basil, and oregano) on top of the asparagus. 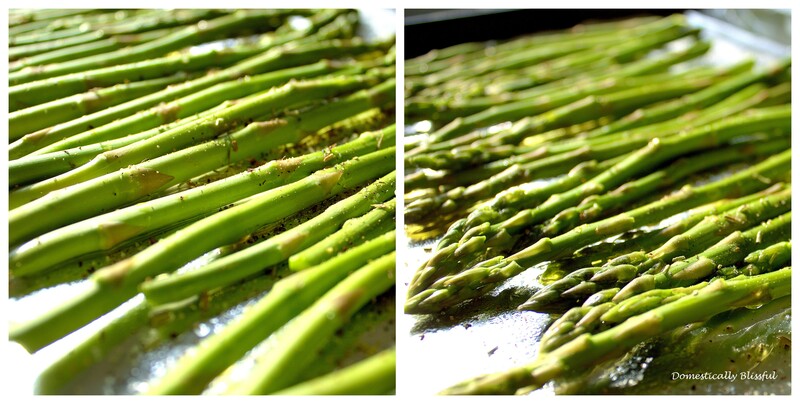 With your oven on broil, place the asparagus on the 2nd to top rung and cook for about 5 minutes. You want your asparagus to be bright green, not brown, so make sure to watch your asparagus because it will cook faster, or slower, depending on the thickness of the asparagus. 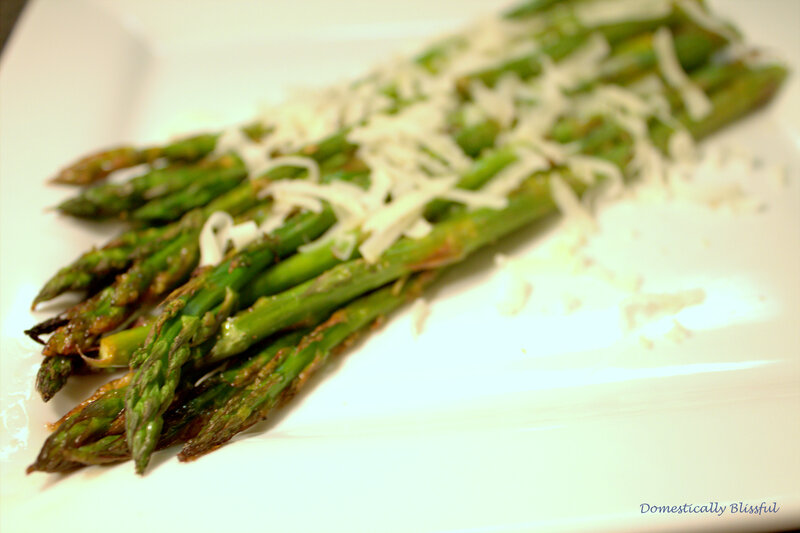 Once the asparagus is cooked, you can add Parmesan or pine nuts for an extra beautiful presentation.